Ensure universal access to modern energy services. Reduce global energy intensity by 40 per cent. Increase renewable energy use globally to 30 per cent. Finding ways to bring energy to people in the developing countries who currently lack access to life-enhancing energy will be a primary focus of the year. But transitioning to sustainable energy in developed countries is a major challenge to be addressed as well. AHEAD Energy’s offices are now located in Appalachia, a region that is a hotbed of activity a propos the energy future of the United States. Mountaintop removal coal mining and massive hydraulic fracturing of shales, such as the Marcellus and Utica, hold potential to meet a significant share of US energy needs for decades to come, while also providing revenue streams to struggling economies. At the same time, these technologies evoke considerable and often passionate environmental concerns. AHEAD will coordinate efforts at three institutions of higher education: Marietta College, Washington (County) State Community College, and West Virginia University at Parkersburg. Besides bringing outside experts to the area to speak, programs will include setting up a speakers bureau of local energy experts, films, tours, and hands-on activities involving college students and community members. 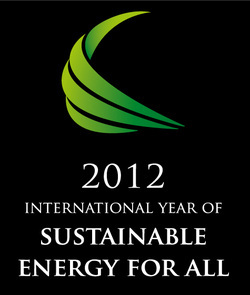 A website has been developed to publicize events related to the Year of Sustainable Energy for All in the Mid-Ohio Valley. The URL is www.sustainable-mov.net.